Looking for New Homes in Congleton? Are you searching for a new build home in Congleton? Seddon Homes have a variety of of housetypes and developments available to suit all budgets and requirements, from 1 bed apartments to 5 bedroom homes. 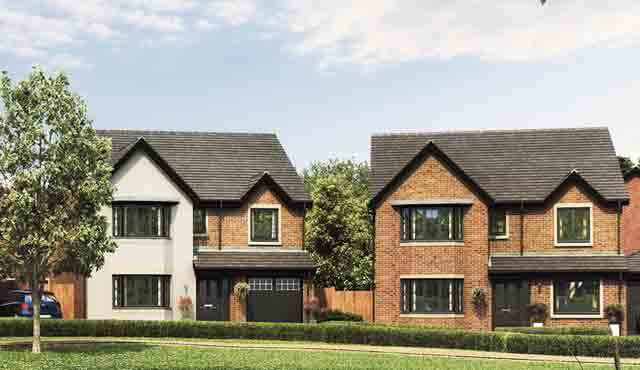 Situated in Cheshire, these new build developments in Congleton give you fantastic access to the local shopping centres, schools and Country Park. There is also a golf club, cricket club and a football club just a short drive away. 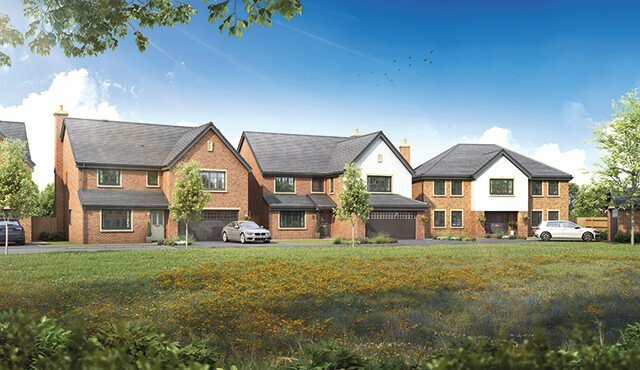 Our portfolio of new homes in Congleton includes two developments; Falcon Rise and Blossom Gate. Falcon Rise is located off Kestrel Close and offers 1, 2, 3, 4 and 5 bedroom homes. You can find Blossom Gate, which comprises of 1, 2, 3 and 4 bedroom homes, on Back Lane. Why buy a new build home in Congleton? Congleton is an historical market town on the banks of the River Dane. This picturesque area is also home to one of the oldest recorded rugby union clubs in the country. Furthermore, Congleton has fantastic connections to many major cities such as Manchester, Liverpool and Sheffield. This is further complemented by the town’s close proximity to the stunning Peak District National Park. A bustling community that is famous for its flowers, festivals and beer, Congleton makes the ideal place to buy a new home. In addition to the leisure activities, Congleton is a lovely area to immerse yourself in the countryside. Many of the town’s plants are imports, which help to accentuate the scenery to the upmost. You can even find cute bear figurines all around due to the town’s relation to the animals. Great for kids and adults alike! Seddon’s new home developments in Congleton are near to a number of primary schools, as well as Congleton High School. All of these carry a ‘good’ rating from Ofsted. The area is fabulous for kids because of the playing fields, leisure centre and theatre. Great for entertaining little ones in a safe environment. However, there are also a number of sports clubs for older children and adults – in fact, Congleton has not one, but two golfing clubs! Congleton is known for its floral displays, monthly Makers Market and festivals, such as the Food and Drink Festival and Jazz & Blues Festival. Culturally rich and steeped in history, you’ll be enamoured with the variety of sights and activities that the town has to offer. For the busy bodies, Congleton has much more than pretty scenery and exciting venues. It is also home to a thriving commercial sector, including the Congleton Business Park, Radnor Park and many others. Due to the town’s great location, you will also find no difficulty in commuting to and from larger cities. Congleton is just a 10 minute drive away from the M6, which gives you access to Stoke-on-Trent, Warrington and beyond. This road leads directly onto other motorways such as the M62 and M56, where you can reach Liverpool, Chester and Manchester. The area is therefore a perfect middle-ground for anyone working in the North West, Midlands, or Wales. Besides the motorways, Congleton boasts a railway which runs along the Manchester Piccadilly to Stoke-on-Trent line. This makes is convenient even for those without a vehicle, or simply those who prefer to avoid the rush hour traffic. The town is also a convenient distance from Manchester airport – less than 20 miles, in fact. Congleton has so much to offer those looking to buy a new home. Whether you’re an independent single or a family of 5, we have a home to offer in a location you’ll adore. Why not visit one of our developments to see the quality for yourself? Our Property Shops are open as per the times on the development page and our agents are always happy to help. We hope to see you soon.